Well, it finally happened. Apple just delivered its 1 Billionth application download from the App Store, which currently features over 25,000 apps (35,000 by one estimate) built by thousands of developers. The significance of the milestone (besides just the 1 billion mark) is that it’s taken only nine months from when the App Store launched on iTunes to hit 1 billion paid and unpaid downloads. The count was at 300 million in early December, and the App Store hit 500 million downloads by January 16th. 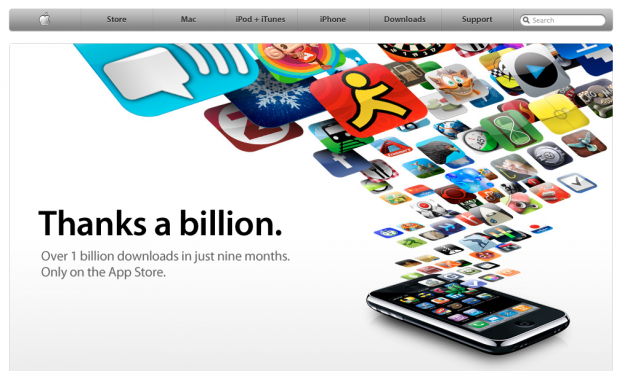 It took Apple six months to reach the first 500 million downloads. It would take Apple only three months to get another 500 billion downloads. 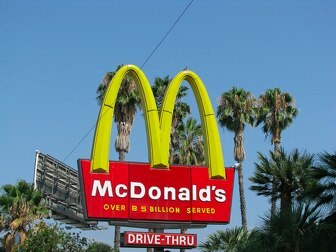 By March, 2009, it was at 800 million. We started keeping track via Apple’s billion-app countdown at around 928,077,779. Apple also offered us a fleeting glimpse of the most popular apps ever, something the company only did once before. Apple apparently already had a hunch of when the billion mark was going to be passed, because the billionth app celebration page was already ready to go. Apple predicted the time when the billionth app would be downloaded: 1:24:06 AM PST on April 23. That didn’t happen. The number of different apps available has also been growing steadily. In November, the app store had 10,000 apps, and grew to 15,000 by Apple’s quarterly earnings call in January. Within a month, the app store added 5,000 more apps, bringing the total available apps up to 20,000. By March, the app store has over 25,000 apps. Now, according to an estimate by App Store analytics firm Mobclix, there are 35.550 apps worldwide. Some lucky iPhone user who downloaded an app in the past two weeks will win a $10,000 iTunes gift card, MacBook Pro, Time Capsule, and iPod touch. We also hosted our own contest to see who could guess when the billionth app would be downloaded and we will release the results soon.